Peter has a health industry background that covers some 35 years at senior levels. He has held regional hospital CEO positions at Bendigo, Warrnambool, Wangaratta, Wodonga and Tallangatta. 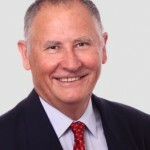 He has worked extensively in health projects and consultancies overseas, particularly the Middle East, where his major roles were health care and medical staff accreditation systems, commissioning new hospitals and clinics, as well as the international recruitment of senior clinicians and corporate staff. His qualifications include a BHA, MBA and PGD in Health & Medical Law. He is a Fellow of the Australasian College of Health Service Management and a Fellow of the Australian Institute of Company Directors. He is also a Certified Member of the Australian Human Resources Institute and a Myers Briggs Trained Instructor. Peter has over 7 years’ experience in the health recruitment industry throughout the eastern States of Australia working with metropolitan, regional, rural and remote health services. During this time has has undertaken a number of health service consultancies and strategic planning initiatives through HRS with clients in Victoria, NSW and Tasmania. Currently Peter is residing in Hong Kong where he is generating business development initiatives for HRS, seeking opportunities in health care in Hong Kong and mainland China.